Every year the Society publishes at least one book on local history, available for purchase online. Abertay Historical Society was founded in 1947 and promotes interest in the history of Dundee, Angus, Fife and Perthshire. 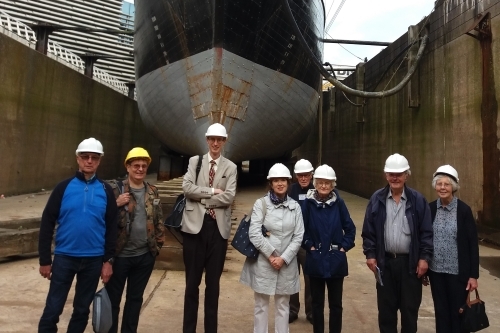 The Society organises public lectures in Dundee and elsewhere in the Abertay area on a variety of historical topics, as well as occasional special events including guided tours and conferences. We also support the work of other local heritage organisations. You can find out about our forthcoming programme of events in our calendar. 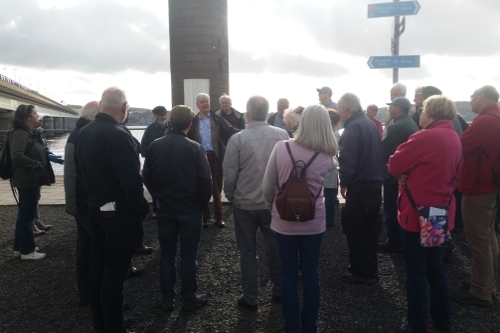 Most of our lectures are held at the University of Dundee, but we also hold special events around the area – previous venues include Kirriemuir Old Parish Church, St Andrews Preservation Trust Museum, the Meffan Institute in Forfar, the Fergusson Gallery in Perth and the Auld Kirk in Tayport. For those who cannot attend our talks, it is the Society’s publications which provide the greatest membership benefit. For many years the Society has published at least one book per year. These books are sent free to every member as soon as they are published. Remaining copies are then sold through booksellers and online to non-members. The small number remaining in print shows the popularity of these titles, and many of our out-of-print books now fetch high prices from second-hand book dealers. Some of our out-of-print titles are now available in pdf form from the Publications section of this site. All banner images on this site are courtesy of University of Dundee Museum Services.